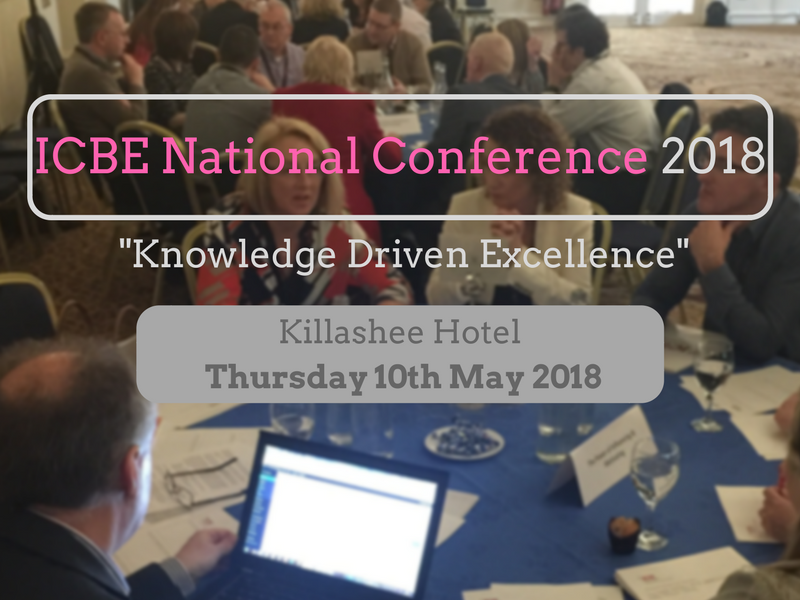 Welcome to the eBook and report from the Annual ICBE Conference that was held on Thursday, May 10th in the Killashee Hotel, Naas, Co Kildare. This year, we evolved the innovative and interactive event format, which included highly relevant presentations from practitioners and renowned speakers, a moderated forum, live blogging, interactive Group Action Learning and this eBook take-away. Over the course of the morning and afternoon our 9 speakers covered the three pillars of Productivity, People and Technology. These ‘one to many’ talks from leaders in our sector prepared all the attendees for the group challenge, discussions and knowledge sharing that took place in moderated sessions after each pillar. These group sessions discussed challenges prepared by the speakers in pairs and shared them as a group. We have captured the essence of this tacit knowledge and the immense experience of the 11 groups in this eBook. These probing sessions uncovered coal face experience and ideas from the delegates. Rather than just provide access to knowledge, the impact of which can rapidly decay, we wanted attendees to take the learnings and internalise them by immediately analysing its relevance to them through an industry challenge. Through working in groups each attendee also has access to a broad range of shared peer to peer insights which also enhanced the networking and further expanded their knowledge set. The day was expertly MCed by broadcaster Matt Cooper who also interviewed our keynote speaker this year Dr Niamh Shaw. Niamh’s presentation was an inspiring story of vision, failure and perception of self. Finally we are also conscious that we live busy lives and it can be difficult to reflect and recall the learnings from events when we get back to our workplaces, so we live blogged and captured the inputs from attendees as the day evolved. This eBook contains a synopsis of the morning talks and the collated shared insights from the attendees. Naturally we could not include everything in this eBook but it is designed to be living document and encourage all readers to visit the conference microsite on www.theknowledgemap.biz to evolve the conversation. I do hope you enjoy this eBook and look forward to taking these discussions forward.